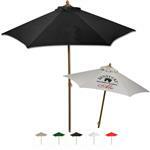 Custom Market Umbrellas and Promotional Patio Umbrellas imprinted with your logo - a great bar, cafe or restaurant promotional item that will advertise your business for years to come. 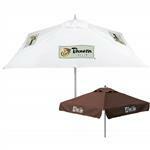 Our custom market and patio umbrellas come in a variety of styles to fit your advertising needs including wind resistant and light up umbrellas. 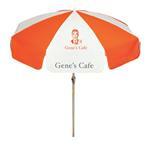 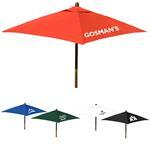 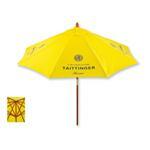 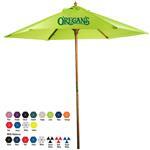 We also carry commercial grade market umbrellas - while more expensive they will last season after season. 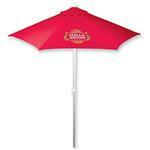 If you do not see the Promotional Market Umbrella or Custom Patio Umbrella you are looking for, please call us at 888-332-ADCO anytime as we have many additional styles to choose from. 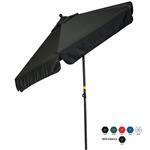 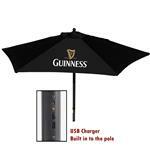 Commercial Grade Square Sunset Market Umbrellas - 8 ft.
Music Market Umbrella with Bluetooth Speakers - 9 ft.